Black History Month commemorates and celebrates the Black community and their achievements throughout American history. Their contributions have heavily progressed modern society in the United States towards one with inclusion and diversity. As many observe the great strides in progression, UNAVSA believes, Black History Month is also a time of remembrance for the horrific systemic racism that African-Americans have faced. It is imperative to reflect and honor the people who have courageously stepped up for societal change. As an organization that focuses on progressing the next generation of Vietnamese-American leaders, it’s necessary to acknowledge, as people of color, we would not possess the same rights today without African-Americans dedicating their livelihood and paving the way for marginalized groups. We at UNAVSA, celebrate and appreciate the years of hard work, sweat and tears that the Black community has put in for all people of color to continue to prosper and thrive. We’d like to highlight two individuals helping with positive social change! Jesse Williams is best known for his role as Dr. Jackson Avery on Grey’s Anatomy and portrayal of civil rights leader, Rev. James Lawson in the film, The Butler. Off screen, he spends his time speaking out and advocating for social justice issues and racial issues through through programs and projects. He is an executive producer for both Question Bridge: Black Males, a multidimensional platform fo Black men of all backgrounds to candidly ask or respond to questions rarely discusses in public and Stay Woke: The Black Lives Matter Movement documentary. He also serves, on the of the board of directors for The Advancement Project, a civil rights think tank and advocacy group for racial justice. In 2016, he was awarded Humanitarian Award at the BET Awards where he used his acceptance speech to address police brutality, racism, and cultural appropriation against the Black community while calling for action and change. 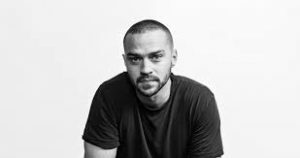 UNAVSA commends Jesse Williams for using his career platform to speak up against injustices even when his message showcases public opinion’s divide in racial cultural war in America. In the documentary, Stay Woke: Black Lives Matter Movement, Jesse Williams states, “[Black Lives Matter] stands on the shoulders of folks who stand on the shoulders of previous movements.” This statement holds true with all movements for social justice, without the work that Black people have put in to reach racial equality, marginalized groups which include Asians, would not have the traction or space to be able to advocate for ourselves. Black people were at the forefront of voting rights for people of color, for desegregation and so much more. Famously in his BET acceptance speech, he says, “just because we’re magic does not mean we are not real” referring to the “Black girl magic/Strong Black Woman Myth.” The stereotype enforces that oppression amongst the black community, particularly women, as they go through hardships of life is ok. The ability to overcome adversity is commendable, but it is not superhuman and to not forget that expectation is unfair to the Black community as there is lack or resources and support from others. This sentiment has familiar undertones to Asians battling the “Model Minority Myth”. 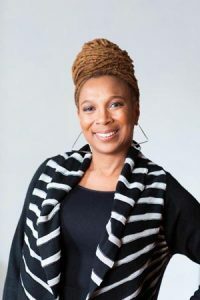 Kimberle Williams Crenshaw is best known for coining the term, “intersectionality“, based off the theory first introduced by Beatrice Webb. As a scholar and an esteemed civil rights activist, she has greatly studied the importance of how various aspects (class, disability, race, sexual orientation etc) of identities overlap, and relate to systems and structures of power, and oppression. Crenshaw is the founding coordinator of the Critical Race Theory Workshop, and the co-editor of the volume, Critical Race Theory: Key Documents That Shaped the Movement. Her work on intersectionality and critical race theory was inspired by her college years where she realized a gap in the studies of racism, and sexism. She introduced “intersectionality” to feminism theory when she had noticed that the gender aspect of race was underdeveloped. Her groundbreaking work has been so influential that she’s listed as a source for the equality clause in the constitution of South Africa. Not only that, her efforts have pushed for progress in several organizations that call to end domestic violence against women, and advanced social inclusion. Crenshaw has currently published seven books, most notably Black Girls Matter and Mapping the Margins. She is currently the professor at UCLA School of Law and Columbia Law School. A famous quote by Crenshaw is: “If we aren’t intersectional, some of us, the most vulnerable, are going to fall through the cracks.” This statement applies in all communities, and it is important that we realize how our social identities can go beyond race, because we are defined by a plethora of factors.. UNAVSA’s community is predominantly Vietnamese, but even within that population, individuals that make up the demographic all possess other identity factors. We believe in embracing diversity and inclusion for all who wish to join and participate. By acknowledging how social identities intersect, we can see how we are represented in political and legal practices. Many policies currently don’t favor nor place equality or equity in practices to ensure fairness on all fronts. Along with the efforts from Crenshaw and like minded individuals, UNAVSA hopes to help and contribute to positive and social change!